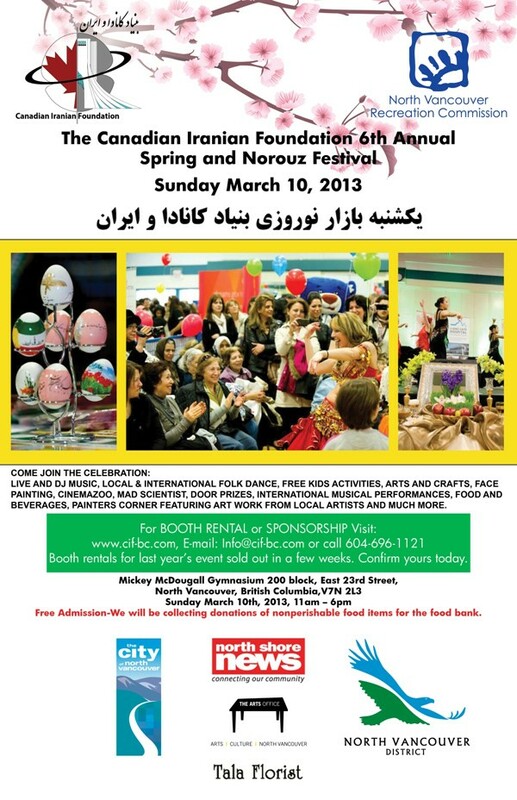 We are delighted to inform you about the upcoming Spring and Norouz Festival on March 10th. 2013. 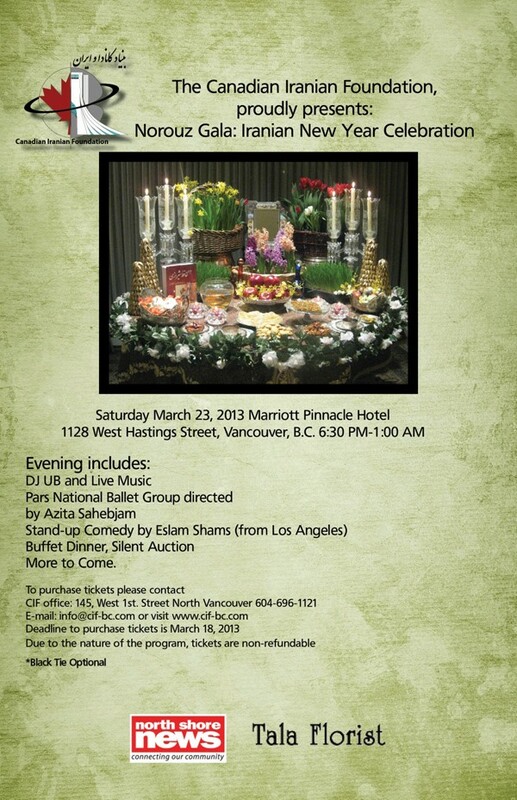 1128 West Hastings Street, Vancouver, B.C.